This lip balm texture will change the way you feel about lip balm. A slightly golden rose-toned lip balm made with Beeswax + Organic Cupuacu Butter + Organic Hemp Seed Oil. 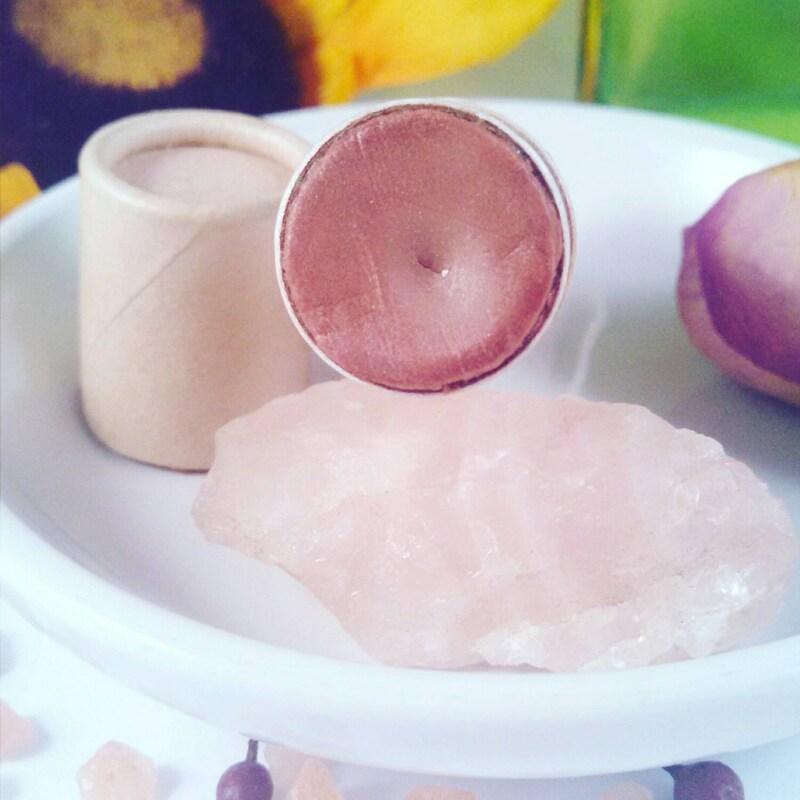 I always loved tinted lip balms, so when I started coming up with mineral makeup, tinted lip balm was one of my first projects. I love that this balm makes me look polished and put together, but without the heavy feel of lipstick or the stickiness of a gloss. Rose Gold is a color meant for all skin tones and types. This balm won't show up bright or too rich, but lets your natural lip color shine through. Blushed neutral rose tones, with a beautiful sparkle in a base of some of the finest oils nature has to offer. Organic Butters + Oils in the base deeply nourish and protect, improving the look of your lips immediately and over time. Rose Gold is a blushed shimmering shade, it is neutral and looks good on all skin tones. It is made from only Mica and Oxides (Minerals) no carmine or fake colors. Organic Cupuacu Butter has the unique ability to actually hydrate lips and moisturize them. This unique butter, part of the Cocoa family, actually absorbs water and draws it into your tissue. This balm almost makes my lips feel slightly plumper after use.